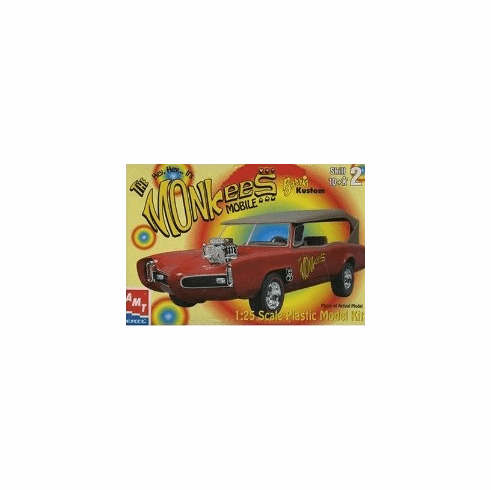 AMT ERTL Monkee Mobile Skill 2 Model Kit features a fully decorated plastic model, no painting needed, but glue is required. Full phaeton style stretched out interior. radical gto monster motor mill complete with custom huffer and four exhaust trumpets per side. Custom wheels and tires, stereo and colorful details.